atlanticteen – Page 2 – Tuning you in to the young adult nonfiction book world. Today is National Job Action Day, and if you’re still looking for the perfect job, don’t worry! We all know that one of the scariest parts about getting a job can be the interview. It’s nerve-wracking not to know what questions will be asked of you. But don’t worry, we have some tips for you. Sure, we all want fresh breath, but opt for brushing your teeth or having a mint. Chewing gum can leave a bad impression. According to a poll done by CareerBuilders, employers found that one of the most common mistakes that interviewees made was chewing gum, which was in the same list as answering a cellphone and appearing arrogant. It’s a simple thing to avoid, and it’s one less thing to worry about when it comes to making a good impression. The general rule of thumb that has been passed along through generations is: If you’re early, you’re on time. If you’re on time, you’re late. If you’re late, don’t bother showing up. Show up to your interview five to 15 minutes early; if you have to wait, be patient. However, showing up early will show your employer that you’re capable of being on time. If the application is a written one, focus on using your best handwriting. This is the first impression of all, and if you can leave a good one, you’re on the road to success. Employers are turned off by arrogance, but being too humble can also turn them off. If you’re too shy about your accomplishments, they won’t get a sense of how great of a catch you are. Respectfully talk about what you’re capable of without bragging. In the first example, the candidate is being arrogant by leaning on his dad to boost his ego as well as his “fancy” experiences. In the second example, the candidate is being confident by leaning on his own abilities. If you are looking for some more tips of finding the perfect job and nailing the interview, check out our book, The Young Adult’s Survival Guide to Interviews: Finding the Job and Nailing the Interview. For those who do not know, October 29 was National Cat Day and November 1 was Cook for Your Pet day. Although these are not necessarily commonly celebrated days, and it is kind of a requirement to feed your cat every day, it isn’t too late to treat your feline friend with a nice meal anyways. If you do not have a fish poacher, use a roasting pan with a lid and a rack that will hold the fish. Combine water and vegetables in pan. Bring to a boil, reduce heat, and simmer 15 minutes. Lay fish on rack and add more water if needed to cover. Replace lid and simmer 25 to 30 minutes or until meat is no longer deep pink around the backbone. Remove pan from heat, but let fish remain in broth up to 45 minutes. Remove fish and vegetables; finely dice so that your cat can comfortably eat it. Now go make your cat happy! They were probably begging you for food anyways. The idea of running a meeting can be an intimidating task, but it doesn’t have to be! A key feature to any meeting is the agenda. The more prepared you feel in executing the agenda, the better you will feel, and the better the meeting will go. Janet M. Nast, an IT trainer, has some tips on creating an effective agenda and specifying roles for the meeting. The facilitator: This is the person who begins each meeting by reviewing the agenda and asking if there are any other topics that need to be discussed (if time permits). He or she will then introduce each topic, the time allowed for each topic, the expected outcome, and then share any pertinent information that will get the discussion moving. This is also the same person who keeps the discussion on topic. We’ve all been in meetings where someone makes a comment about a subject and it triggers a whole other side discussion between one or two people. This can very disruptive, and it’s a waste of everyone else’s time. The facilitator will be the one to stop the meeting and ask if this is another topic that needs to be added to the next meeting’s agenda, or possibly critical enough to be discussed here and now. In that case, he will decide if there is time to do so by rescheduling one of the other agenda items into the next meeting. : This person not only takes general notes on each topic discussion, but he or she keeps track of action items that come up, whom they are assigned to, and the expected completion dates. At the end of the meeting, these notes should be typed up and emailed to each meeting participant. That way, everyone knows what is expected of him or her as a result of the meeting. These tips are just the foundation in holding a great meeting! If you are looking for more tips on how to run meetings, check out our book, The Young Adult’s Guide to Robert’s Rules of Order: How to Run Meetings for Your Club or Organization. Halloween is just around the corner, and for us bookish people, it often means a time of choosing which character we want to bring to life in costume. I have only ever dressed up as Luna Lovegood from the Harry Potter series, but there are plenty of other characters on my list I hope to dress up as one day and go trick-or-treating. Instead of boring you with a record of all my favorite characters, though, I decided to compile a list of quick, last-minute costumes anyone can put together. While you may not have read the books or watched the show, Arthur is a super easy book character to put together at the last minute. All you need is some blue jeans, a white t-shirt, yellow sweater, red shoes, and some fake glasses to pull the whole look together. As an added bonus, memorize the library card song and bring your personal library card along to break into song at random times of the night when things are getting slow. Most people don’t have a magical yellow gown in their closet, but Belle’s village clothes are an easy fix. Just toss together a light blue dress with some black heels and some type of white cloth you can tie around your waist. Pull your hair back in a French braid, and there you go! I don’t advise acting like you can talk to the rats under your neighbor’s house, though. Everyone at some point in their life has wanted to be a detective, and Nancy Drew was the perfect example of what we all wished our lives were like. I mean come on, smarts to match the pros as a mere middle schooler and all the local boys swooning over you? Can’t say it’d be a hard knock life. To match the young sleuth, pair a plaid skirt with a plain top (yellow was her favorite for some strange reason) and tie a knit sweater around your shoulders. Top off the look with a magnifying glass and some flats. There is something quite nostalgic about Waldo, whether it’s the amount of relatability tied to the character or simply his universal imprint on our memory, this is a costume sure to get good reactions. Scrounge up a red and white knit sweater and matching bobble hat with some blue jeans. Tack on some black-rim glasses, and you have a pretty convincing Waldo. Just try not to disappear from the party, that kind of defeats the point of going. Now is time to find every shred of white clothing you have in your closet, including that feather boa you at first bought unironically in middle school thinking they’d become an actual fashion statement (thanks Raven Baxter for telling me LIES), and put it on. All at once. And then paste on some white makeup. The more like a ghost you look, the better. Just try to avoid ice and children for the rest of the night while in costume, no telling what could happen. I hope this range of ideas helped you in some way, if only to trigger your own costume idea. Maybe it would help to raid your mother/father/sibling/friend’s closet who you know wears weird clothes? But above all, have a happy halloween! When I started my first blog in 2012, I didn’t know what I was doing. Blogging was less established back then than it is now and I had to start from scratch with only a few examples to follow. Deciding to start a blog can be intimidating, so Atlantic Publishing released a guidebook on how to go about making one. Today, I want to share some of the best tips and tricks from So You Want to Start a Blog and my own experience on starting a book blog. Unless you want to start completely from scratch with designing a website and paying for a domain (which I advise against) you’ll need to pick a blogging platform to host your site. There are a number to choose from (Blogspot, Tumblr, Wix, etc. ), but I recommend WordPress, especially for a book blog. WordPress is very reader-friendly and is better than other hosts, like Blogspot, at bringing traffic to your blog — i.e., more readers. It allows for more interaction between bloggers, and after trying a few different host sites, I’ve found it’s my favorite by far. This is probably the most exciting part of starting a blog. You’ll need to pick a web design theme, customize it to your needs, and come up with a blog name and logo. I recommend starting out with a free theme provided by the host site and using a free logo or banner maker to design your header. Pick a blog name that’s unique, catchy, and that you won’t mind sharing with other people, because that’s the first thing people will see and remember when they view your blog. Consistency is key. Try to develop some sort of schedule for your posts so that your readers know when to expect new content and so that you can keep yourself accountable. I recommend writing posts in advance and scheduling them so that they post automatically on a specific day, especially if you have other responsibilities (which, let’s face it, we all do). Make sure you’re mixing up your content, as well. If you review a lot of books, add a feature post or recommendations list every once in awhile to keep your readers entertained and on their toes. The best way to build readership for your blog is to read and interact with other people’s. Find other book blogs, both popular and up and coming, to read and comment on. This will help other readers find your blog (free publicity, yay!) and can also lead to you making new blogging friends. Then you can write collaboration posts with other bloggers, which will help you increase your followers and be really fun! This last tip is so important if you want to increase your blog’s following. Share every blog post on your social media accounts (the basics are Facebook, Twitter, and Instagram). Post your book reviews on Goodreads. You might even consider making separate social media pages solely dedicated to your blog in order to streamline your brand and keep your personal life separate. Whatever you decide, make sure you share your content as much as possible so that people can find it! Well, there you have it: five of my top tips for starting a book blog. While I tailored this post towards book blogging, these tips can actually be applied to any type of blog. So whether you want to start a book blog, a fashion blog, or something else, I hope they help! Good luck, and may the odds be ever in your favor. To give a quick synopsis of it for the people who haven’t read it (yet), Gone Girl follows a married couple named Nick and Amy Dunne. On their fifth wedding anniversary, Amy disappears. Suddenly it seems as though Amy might be dead, but who killed her? Was it Nick or someone else? If you’re like me, the second you start reading a mystery book, you try to solve the mystery before the author lets on the ending, and to piece together the puzzle before the main character can. Every chapter I had a different idea of who the killer was, and I had 100 percent convinced myself each time that I finally had it right. I was on the edge of my seat every single chapter. It was a book for me that was so hard to put down, and I found myself either reading it or listening to the audiobook every spare second I had. Finally toward the end, I just ended up binge reading the last 150 pages or so in one sitting. For those of you who have read it, the book is crazy isn’t it? There are so many twists and turns. One of my friends actually hadn’t had a chance to read the book, and she wanted me to fill her in on everything that happened. It was fun to be able to retell the story to her and watch her mouth drop and have her guess what was going to happen as the story progressed. Retelling the story made me realize how crazy it really was, and it made me realize all the clues I should have picked up on when I was reading it. I liked to see if someone else would pick up on the clues I missed. This book is not only the spookiest books I’ve ever read, but also probably one of the best books I’ve ever read. I still haven’t had a chance to watch the movie yet even though I really want to, but maybe this Halloween season I’ll find myself watching it. What’s the spookiest book you’ve ever read? Everyone loves a good romp in the woods, or a weekend out with friends or family to camp under the stars. Being stranded due a natural disaster, empty gas tank or getting lost on a hike, however, is not generally on someone’s weekly to-do list. The thought of being “wilderness prepared” might not even cross your mind due to today’s technology. But cell phone signal only goes so far, and not everyone just happens to stash several days worth of survival supplies in their car trunk, so the ability to “live off the land” per se, can be helpful. In A Complete Guide to Surviving in the Wilderness: Everything You Need To Know To Stay Alive and Get Rescued by Terri Paajanen, is a plethora of survival tips that can get you through any situation. Perhaps you are a wilderness enthusiast who wants to go off the radar for a few days, or even weeks, and you run into an impromptu emergency situation, such as lack of supplies or injury. Or you are at home and experience an extreme natural disaster, such as a hurricane. Regardless of the dire situation, this book can help. This resource covers everything from how to find shelter, to securing and rationing supplies, as well as how to deal with a series of different injuries and illnesses. In an emergency survival situation, though, the best advice from the survival skill equipped Shannon Morrigan is to, “Keep your head.” Staying calm and thinking a situation through could be the difference in your survival. If you are in a panic, you may rush your actions and not realize small details. For example, if you get lost on a hike and run around in a delirious state, you may not recognize familiar landmarks or hear running water when you get near it. If you are planning to go on a camping weekend get away, make sure to tell those around you where you plan to stay, and for how long. This will decrease your rescue time when others start to question why you haven’t returned when you said you would. Also remember to bring the proper supplies. Don’t focus on luxury items, or foods that will spoil if not eaten in a few days (and especially not items that need refrigeration). A first aid kit and nonperishable foods, or simply foods with a long shelf life such as trail mix, are priorities. If you’re not the most fit person, don’t be overambitious and stuff a 70 pound pack to carry around. Stick to the essentials. A camping trip isn’t a fashion show, and if you go by yourself, nobody is going to be around to even tell if you wore an outfit more than one day in a row anyways, so skip the extra clothes for more important things, like a flashlight or pocket multi-tool. Other small pieces of advice include planning how and when your supplies, namely food and water, will be used. Also consider learning how to tie various knots and snares before your trip. This will help with stowing away supplies to keep them out of the reach of foraging animals while you sleep, or help to catch food should you be stranded for a lengthening amount of time. Remember a person can survive longer without food than water, so once you realize you are lost, finding water is the first priority. Then comes shelter, and then food since water often doubles as a source of food if fish happen to populate the body of water you discover. Nobody particularly wants to be stuck in the wilderness, but should this occur, it is good to be informed about what actions you can take to best survive and await rescue. It’s quite remarkable to me that, yet again, I’ve been in the presence of one of my favorite authors, but somehow it keeps happening. I had the amazing privilege to attend the book tour of the one, the only, John Green for his latest novel, Turtles All the Way Down. (Please don’t ask me if I’ve read it yet. I have a very busy life, and I want to give it the adequate time that it deserves.) I can still hardly believe that I can say I have been in the same room as not only one of my favorite storytellers, but also one of my all-around favorite people. Oh yeah, his brother, Hank Green was there too, and that was quite a treat. The pure bond between those two is really fun to witness. At one point, he even came out in a turtle costume, but he also played some music. The event was held at Hank’s high school, Winter Park High School, and I would be lying if I didn’t say that the venue itself added to the experience of the event. It was obviously very nostalgic for Hank to visit a place that he hadn’t been in for 20 years. I also got interviewed before the event by the high school broadcasters there because I was guilty wearing an “Okay? Okay.” shirt. I was quite literally wearing my allegiances on my sleeves. But hey, when else can you fully appreciate this novel than at an event. I’m also still knocking myself because right off-the-bat they asked me how John Green has impacted my life. Phew. That’s quite a loaded question and one, to be honest, that I have never fully processed, believe it or not. I know he’s impacted me in an incredible amount of ways, but I’ve never thought about it outright, and I also don’t think I could ever adequately explain it even if I tried. But, on a side note, I’m also pretty mad that I didn’t mention that I named my dog Hazel after Hazel Grace Lancaster from The Fault in Our Stars. It’s also quite ironic that she embodies this character in so many ways. Most specifically, she is incredibly sassy. In my defense, they didn’t even prepare me for this type of question, they just fired away with probably the hardest question they could have asked. It’s amazing to me just how successful Hank and John both are from their podcast, to their YouTube channel, to their Crash Course videos, Hank’s music, John’s writing, and the list could go on and on. I want to be even half as successful as they are, and I will be satisfied with my life. I was thinking during the show about how nice it was to be laughing about things John was saying instead of crying like his books are known to do. But then he goes and does some pretty emotional things and says some things to make me emotional. (I don’t want to fully go into detail because it’s an a) kind of had to be there thing and b) I don’t want to ruin the show for anyone who hasn’t seen it yet.) But just the idea that he can have me laughing one minute to crying the next just speaks volumes about his way with words, and the way he crafts what he says. I could go on for ages about the show, but all around, I was incredibly pleased with the event, and I’m so glad I was finally able to say that I’ve seen Hank and John. It’s also still incredibly weird for me to process that John Green finally has a new book out. Now, excuse me, while I go read Turtles All the Way Down. When you’re an avid reader who enjoys staying in touch with the book world, it can be REALLY hard to decide which books to read. Having a long to-be-read (TBR) list means we have to prioritize which books we want to read most, and which have to wait. On the other hand, not being in the know about recent releases, award winners, or popular cult picks can make you totally lost about current topics in the book world. Fortunately, I’m here to help. Here’s a guide to choosing the books you read! Following publishing companies on social media is a great way to keep up with new releases. PenguinTeen has an interactive Tumblr that I especially enjoy following, but all publishing companies tend to have Facebook, Twitter and Instagram these days. You can also subscribe to publishing newsletters to receive emails about upcoming book releases; I recommend Penguin Random House’s First in Line program for young adult books. You can also follow authors on social media because they’ll always post about their books around the release date! I follow book blogs and BookTubers (YouTubers who dedicate their channels to books) and get a lot of book recommendations from these sources. Book reviewers will tell it to you straight, whether they love a book, think it’s just all right, or hate it. I especially appreciate the honesty and reliability of book reviewers. If you find ones who you particularly connect with, or who have a similar reading taste, you can trust their reviews even more. If you aren’t on Goodreads, what are you doing? This is my go-to site for book reviews and ratings from a whole community of readers. I love adding books to my e-shelves to keep track of what I’ve read, books I want to read, upcoming releases, favorite books, etc. Same as with book blogs, I’ve found a few serial reviewers whose opinions I trust – if they rave about a book, I’ll give it priority; if they slam a book I was excited for, I’ll reevaluate its place on my TBR list. This may sound really simple, but whenever you’re at a loss for what to read next, browse! Go to the bookstore or library and take a look at the shelves in a genre section you’re in the mood for. Examine covers, read the book jackets or even make an impulse decision to buy or check out a book that sounds interesting to you. Reading books blindly (without reading reviews/ratings first) is something I rarely do anymore, but every now and then it’s nice to judge a book by myself, without any preexisting outside opinions. Having friends who read is the best because you can get personalized recommendations AND have someone to talk about the books with once you’ve finished them! If you don’t have any good reader friends, it’s easy to make some. Join (or start) a book club, volunteer at the library, get a job at a bookstore, hang out at coffeeshops, or join the online reading community –– there are tons of forums and online book groups where you can meet and chat with other readers (Goodreads is a great place for this)! I hope these tips for choosing books are helpful. Good luck finding your next read! Now, I don’t come upon books I dislike very often. Whether it’s my tendency to not take recommendations seriously, my low standards or my picky nature of not trying out books I don’t think I’ll like, I can’t pin point the real reason. I just tend to like the books I read from the get-go. However, when it comes to a book assigned for school, I often find I don’t care for them as much. I never hate them, but they are often so much more tedious to read. Especially since most books required by classes tend to be either in or on their way into the classics genre, and while I’ve read a significant number of classics, I can’t say they are anywhere near my favorite genre. 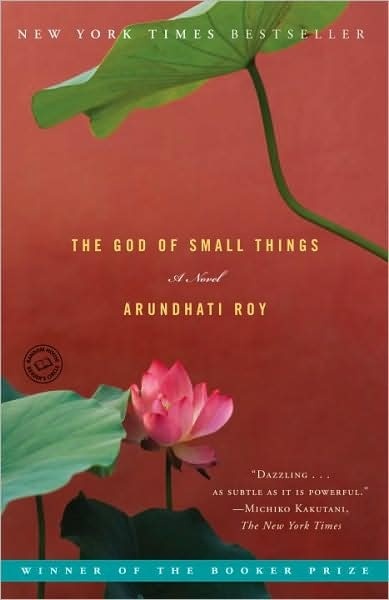 So, when in my senior year of high school my teacher had us read The God of Small Things by Arundhati Roy the summer before class started, I could have been a bit more thrilled. It’s a book about a family in Kerala, India, who used to be rich, and now just act like it. Roy mixes some fantastical elements into the otherwise realistic narrative, and delves deep into familial, religious, cultural, societal, and even gender stereotypes. There’s all sorts of individual stories mixed into the narrative. Murder, scandalous affairs, runaway children, and other dark events. The God of Small Things is not for the faint of heart, it’s gritty and real, even with the slight magical undertone. I honestly did not like it at first, mostly because I couldn’t understand any of what was going on. The book is told through two timelines that interrupt and contradict each other, almost as if they fight for dominance on the pages for who gets to tell which part of the story next. It’s confusing, deliberately confusing. Especially when the section is told from the eyes of one of the family children who don’t understand what is happening around them. The reader is shown things that are answers, to questions which haven’t even been asked yet, so you are left with information you at first believe is irrelevant. The graphic scenes and jolting transitions did not sit well with me when I was first reading the novel, but by the end I was fully on board. It was like a switch flipped, and while I still did not quite understand all that was going on, I was finding snippets of interest to latch onto and enjoy. I fell in love with Roy’s peculiar writing style and her equally weird characters. I had to read it twice before I was able to pick up on half of the social critiques, cultural jabs, and other conversations Roy stowed away within the text. Even still, after an entire year of studying the novel (as it was one of my teacher’s favorite novels, and we kept coming back to study it before our IB exams) I believe if I read it again, I would only find more. It is the oddest little blend of grotesque and beauty I believe I have ever read, and I highly recommend it to anyone willing to read a novel that doesn’t tip toe around the darker parts of life.